Dr. Lee graduated with honors from the University of Florida College of Dentistry and has been practicing in a private practice in Duval County since 1990. Dr. Lee is continually educating himself on the newest dental techniques and advances in order to provide you and your family with state-of-the-art dental He is a member of the American Academy of Cosmetic Dentistry, and has attended advanced continued education courses including Pankey Institute, Spear s Education, Miami Implant Dentistry Continuum, American Orthodontic Society, and Bone and Soft Tissue Grafting course at the Medical University of South Carolina. Within Jacksonville Dentist Community, Dr. Lees specialized services include full mouth reconstruction, implants, Invisalign, porcelain veneers and laser oral surgery. Dr. Lee serves the community outside of his dentistry practice and is a volunteer at the I.M. Sulzbacher Center for the Homeless. 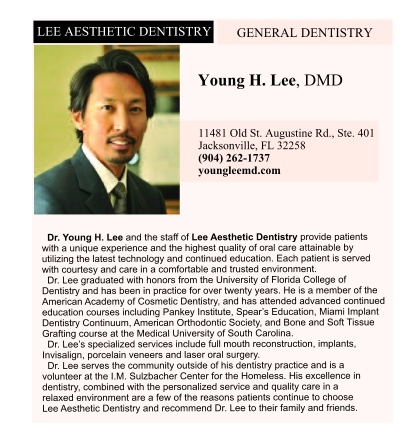 His excellence in dentistry, combined with the personalized service and quality care in a relaxed environment are a few of the reasons patients continue to choose Lee Aesthetic Dentistry and recommend Dr. Lee to their family and friends. 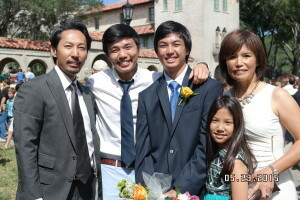 On a personal note, Dr. Lee is married with three children. Check Out the Jacksonville Magazine Article Dr. Lee is Featured In as one of the best Jacksonville Dentist! Our biggest asset is our professional and friendly staff. Each member of our team takes pride in making every aspect of your visit memorable and enjoyable. 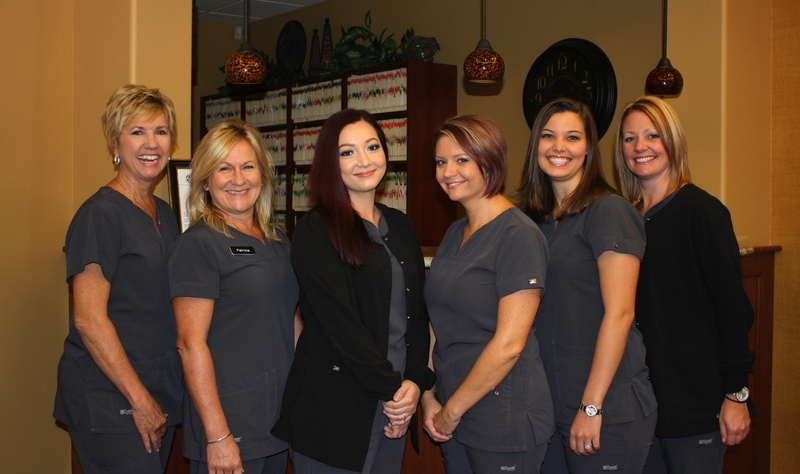 Our highly-qualified, experienced team includes from left to right; Jill (Hygienist), Patti (Hygienist), Jesica (Dental Assistant), Chasity (Dental Assistant), Chelsey (Office Assistant) and Jennipher (Patient Coordinator).